[http://flossmanuals.net/kde-guide The KDE Developer Guide] is a book to give you an easy start into contributing to KDE as a developer. The KDE Frameworks Cookbook is a book for developers who want to make use of KDE's Frameworks in their applications. 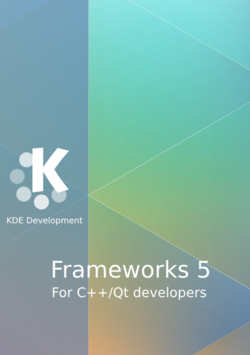 You can download it as [https://books.kde.org/frameworks5/KDE-Frameworks-Cookbook.epub ePub], [https://books.kde.org/frameworks5/KDE-Frameworks-Cookbook.html HTML] or [https://books.kde.org/frameworks5/KDE-Frameworks-Cookbook.pdf PDF]. To contribute to the book please clone the repository '''kde:kf5book''', commit your content in [http://warpedvisions.org/projects/markdown-cheat-sheet.md markdown], and then push. Please look at the README for more detailed information. The KDE Developer Guide is a book to give you an easy start into contributing to KDE as a developer. The KDE Frameworks Cookbook is a book for developers who want to make use of KDE's Frameworks in their applications. You can download it as ePub, HTML or PDF. To contribute to the book please clone the repository kde:kf5book, commit your content in markdown, and then push. Please look at the README for more detailed information.